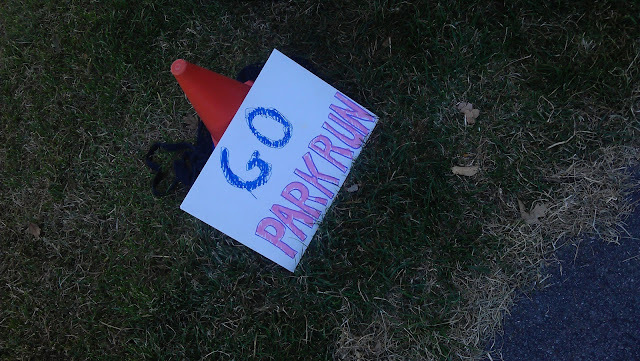 Week two of my mini parkrun tour was supposed to see me head to Burgess park for their second event. 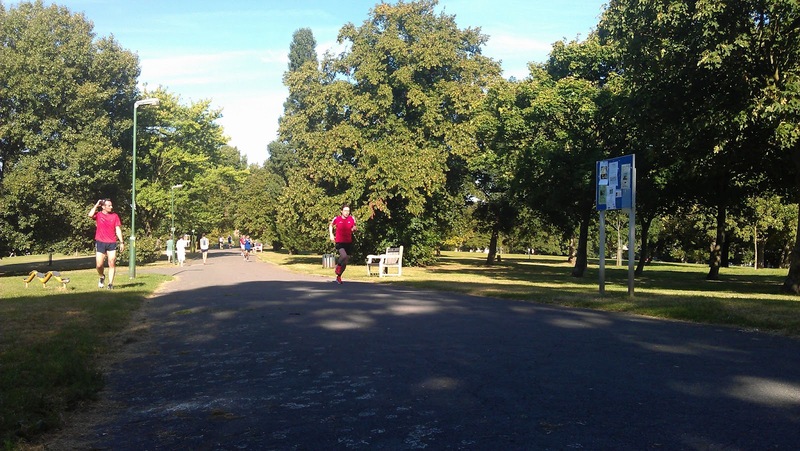 However, due to Burgess park not being fully re-opened in time following a renovation project, the start date of this parkrun had been delayed to 22 September. 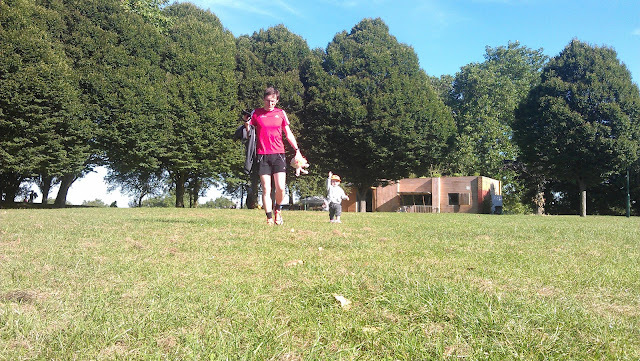 That left the 8th of September free for me to go to the inaugural running of the Hilly Fields parkrun. 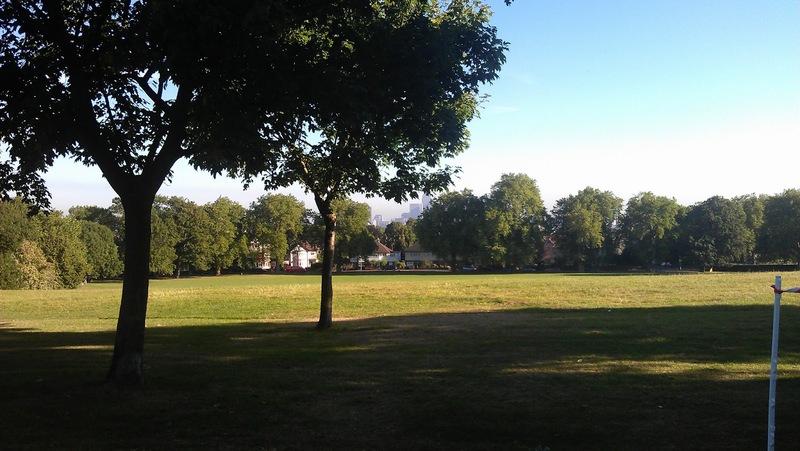 As the name suggests, Hilly Fields is on a hill. The views are pretty good. In one direction you can see right across South London to Crystal Palace. In the other direction you can see parts of Central London. The roads around the park are free of parking restrictions and there is plenty of space, making parkring a doddle. If you choose not to drive you can take the train to Ladywell. The station is not too far away and a jog (up the hill) from the station would serve as a nice warm up before getting stuck into the parkrun. 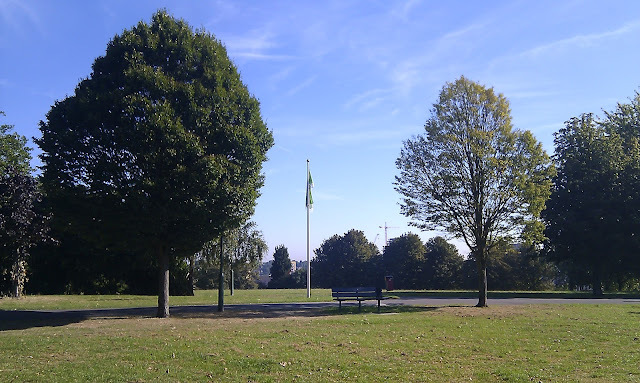 The run starts at the high point in the centre of the park (near the flagpole) and takes you on a three lap route of the park before returning you almost back to the start area where you find the finish funnel. By my own rough calculations, the course is run on 3.5km's of tarmac paths and 1.5km's of grass/dirt paths. The course undulates and twice per lap you have to negotiate the more significant inclines. Before the run began we had the customary announcements and thank yous. Some of the well known faces of parkrun were present and were introduced to the crowd of 94 runners. 5 - 4 - 3 - 2 - 1..... and we were off! The marshals were brilliant - notably the son of the main organisers, who was cheering us on and holding a 'GO PARKRUN' sign. And then there was the lady that told me that I was 'looking speedy' during my last lap when I was seriously considering packing it all in and walking up the next hill. Lastly there was the man at the top of the last steep hill who was cheekily reminding us how many more laps we had left to go and how the hill just gets steeper each time around (it was true btw)! The park itself has a fairly decent playground to entertain any non-running youngsters and is conveniently located right next to the finish line. 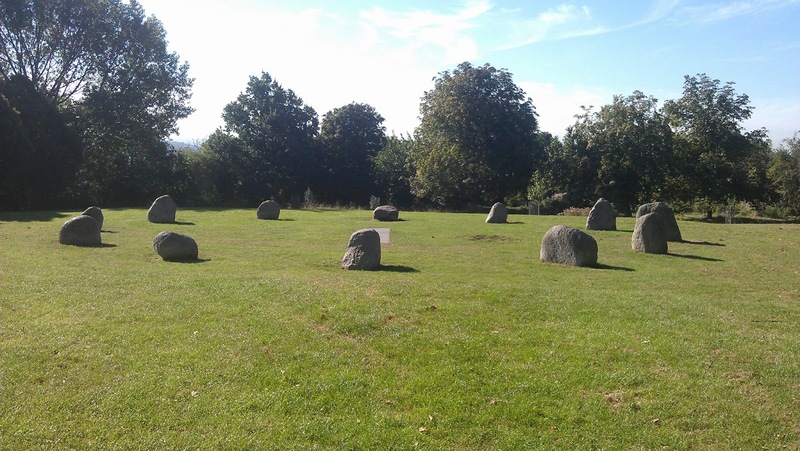 It also has some additional exercise facilities, tennis courts, and a stone circle. After the run we had a drink and some cake in the park's cafe, which again is right next to the start/finish area. It was all very pleasant. As always time passed by very quickly and we soon had to leave. The combination of the varying terrain, along with the ups and downs (and low hanging branches) really help to make this an interesting 5k run, and although we are not local I like to think that I will return when I am feeling fitter to see if I can better my time. Later on in the day we went to our first parkrun wedding reception to celebrate the wedding of two of the main organisors of Riddlesdown parkrun - Kaye (205 time parkrunner) and Morgan!